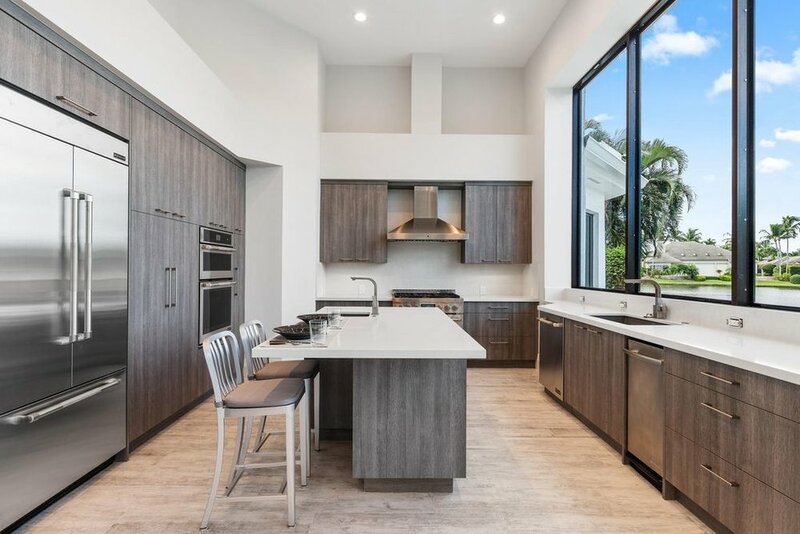 This modern new build in the Loxahatchee Club, a Jack Nicklaus designed golf course, was designed to stimulate your senses. The open-concept house features 14’ ceilings throughout. Windows along the waterline are 12’ to take advantage of the gorgeous lake views. The combination of high ceilings and oversized windows leaves the entire house drenched in sunlight. The 4,600 sf house features four bedrooms, five baths, a wet bar, pool, tennis court, and attached garage.